Watch out, Apple, Blackberry is on a rampage. Blackberry recently announced its newest mobile phone, the Blackberry Bold or Blackberry 9000. Though it looks nothing like the iPhone, feature-wise the Blackberry 9000 could give the iPhone a run for its money. The Blackberry 9000 still sports the same looks as previous Blackberry handsets. It still has that QWERTY keyboard we all know and love but it has a more slimmer profile and features and interchangeable backplate. 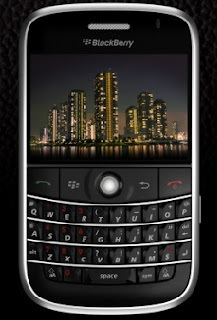 Like I said, the Blackberry 9000 may not look like an iPhone is packed with features that could further increase RIM's smartphone market share that the iPhone has eaten up. Though it doesn't have the iPhone's 3 inch screen, the Blackberry 9000 sports a half-VGA 420x320 resolution LCD display, making images and videos look stunning and clear. The Blackberry also sports a 624 MHz processor, almost at par with the iPhone's processor so you can multitask all you want on this device. In order to make use of its high speed processor and superior display, the Blackberry Bold has a high performance web browser that can display full web pages. The browser also supports downloading attachments and streaming videos. The Blackberry was never known to be a "fun phone". In fact, their ads are obviously geared for businessmen, however, since the iPhone has bridged the gap between work and play, naturally, Blackberry needs to follow suit. In order to address the Blackbery 9000's fun side, RIM added a 2 mega pixel camera with video recording capabilities, a superior music player that has an equalizer, 1GB on board memory expandable with a microSD card to store your music files, and a full-sized headset jack. Connectivity options is abundant on the Blackberry 9000. First, it supports triband HSDPA, has dual-band WiFi, AND GPS! And because of its fast processor, users can even use the navigation function while on a call. And of course, it still has what loyal Blacberry users need, access to the Blackberry server and DataViz Documents to Go suite to view and edit Word and Excel documents. So, with all these features, would Blackberry users on the brink of switching to the iPhone be convinced to stay? Hopefully the Blackberry Bold is enough. I have considered an iphone for the last few months but I am on T-Mobile so still waiting for them to have access with t-mobile. However, I have had a blackberry pearl for the last few months and I am beginning to really get used to it. Depending on the price of this new phone I will highly consider this over the iphone. 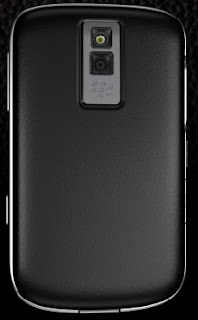 Blackberry never really went exclusive so you should expect this on all carriers except maybe one would be kinda exclusive during the first couple of months but always expect others to follow.